So, aside from inviting all of your donors to your Thanksgiving dinner this year, how can you show them how thankful you are for their monetary or time contribution? Send a hand-written/personal letter. Write letters to your donors, specifically your major donors or new donors, to thank them personally for their gifts. If you're trying to save paper, send out personal emails. You can't underestimate the power of a hand-written note! Your donors will definitely appreciate it. Demonstrate their impact. Show them what their gifts have gone toward. Send them photos or videos of the work that is being done so they can see the specific impact their money has had on your fundraising campaign or project. They will feel your appreciation through your recognition of their gift. Blast it on social media. This isn't quite as personal as a letter, but we encourage you to put out a message on your social media accounts thanking donors for their gifts. Include some photos, video or statistics that show why you're thankful for the work they do and the contributions they've made. Send some swag. Small gifts can go a long way! Put together some thankfulness-specific swag and send them out to your top donors or new donors (or all of your donors!) to show that you are thankful for them. Put together a video. This can be a compilation video of volunteers doing great work for your mission, the work being done with the help of donors' monetary contributions or your team saying "thank you" on camera. Either way, video is a wonderful way to spread your message near and far. 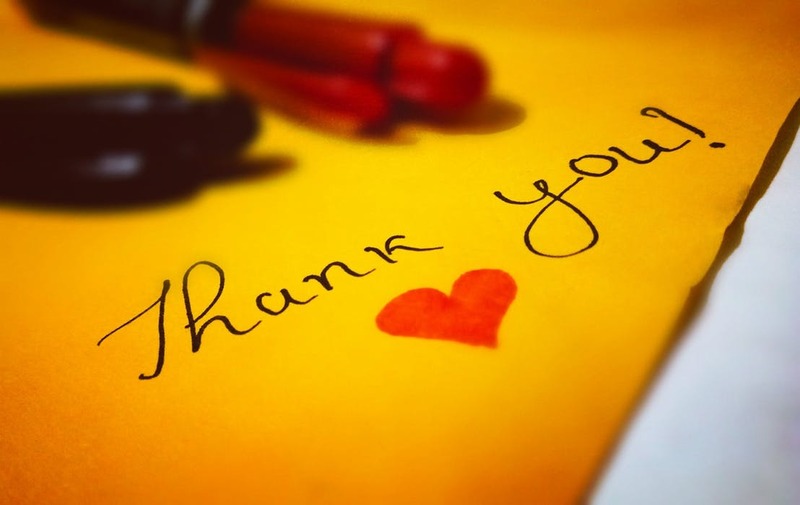 We hope that you'll find a creative way to show your donors how thankful you are. Remember: Of all the organizations they have to choose from, they chose YOURS to give their time and/or money to! Now that is something to be thankful for.